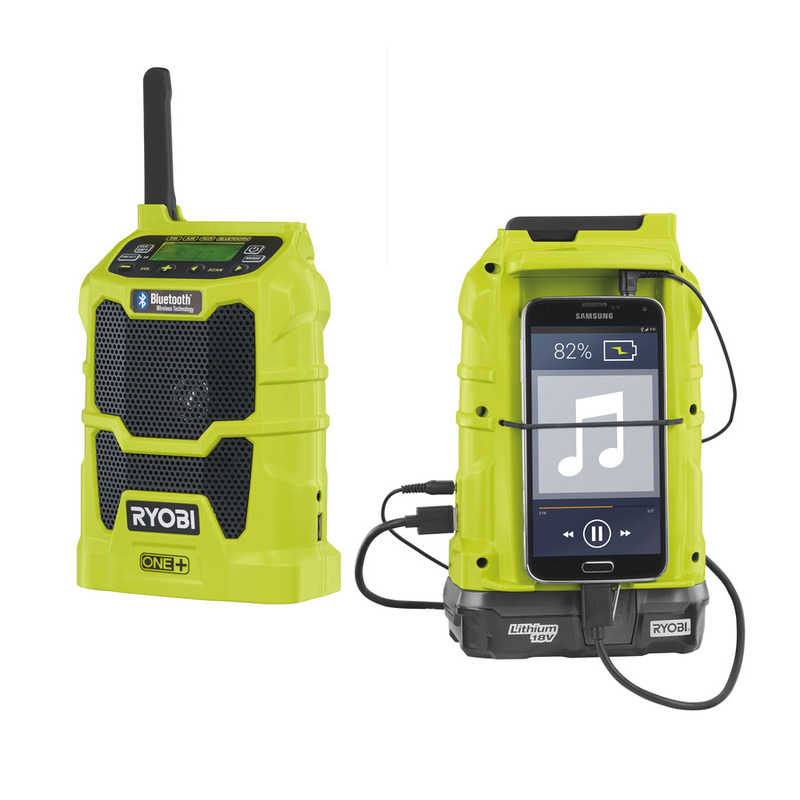 RYOBI ONE+ CORDLESS RADIO WITH BLUETOOTH® R18R: Give your working environment a boost with our 18V Cordless Radio with Bluetooth®. Whether doing DIY alone or with others, music always helps increase enjoyment and productivity levels. Integrated Bluetooth® Wireless Technology allows you to stream full audio from up to 10 metres away and hear the crisp music at a range of volumes through the premium speaker. If used with our 4.0Ah Lithium Battery (RB18L40) it will provide over 15 hours runtime. One+ has been designed to allow you to use any One+ tool with the same battery and charger. To complete your purchase if you do not own a One+ battery or charger choose a battery or battery charger set shown below. The One+ concept is new to powertools and allows you to buy just one set of batteries and use them with all One+ Tools. It is a cost effective solution for all serious Diy enthusiasts and semi professional users. The Ryobi® One Plus™ System is a unique tool range in which one battery and charger can be used with over 35 garden and power tools. All products are powered by either NiCad or Li-Ion 18V batteries which are inter-changeable, removing the added expense of buying batteries and chargers with every tool purchase.